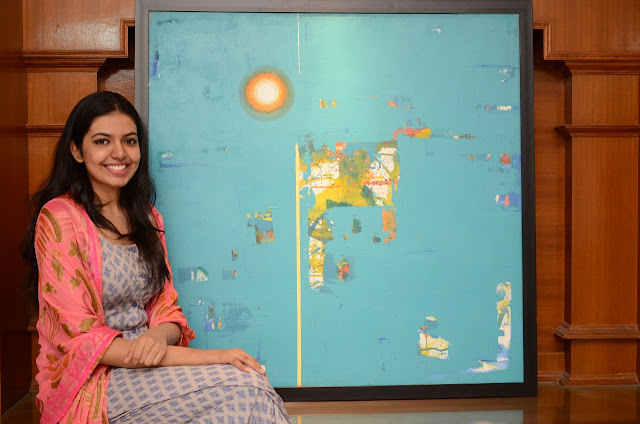 Shivani Rajasekhar, the daughter of the Rajasekhar-Jeevitha duo and the '2 States' actress, is proud of herself. The reason is that she has done her bit for a noble cause, thanks to a Teach For Change initiative. Speaking about the same, she says, "Teach For Change, which was founded by Chaitanya MRSK, and co-founded by Manchu Lakshmi garu, has been organising a fund-raising event every year for the past 8 years. Film celebs participate in a ramp walk to support the NGO's noble cause of bridging educational inequality in India. This year, I had the honour to participate in its event on Thursday. And I bought a beautiful piece of art for Rs. 1.85 lakhs with my first earning. I am very glad that I have spent my first earning on the future of kids. I have done my bit and I am very proud of myself. I am happy to be following in my parents' footsteps. I wish that you guys too will come forward to support causes like this." The fund-raiser was held at Hyderabad's Taj Falaknuma Palace on March 29. It saw the participation of several Tollywood celebs. Those individuals who are keen on volunteering for the NGO can do so by applying on www.teachforchange.in.